Mix red chilli powder, rice flour, besan with the chopped vegetables. Now add salt to taste. Keep it aside for 30 mins. Heat oil in a kadai. Fry the pieces on a low flame and serve hot with tomato-chilli sauce. 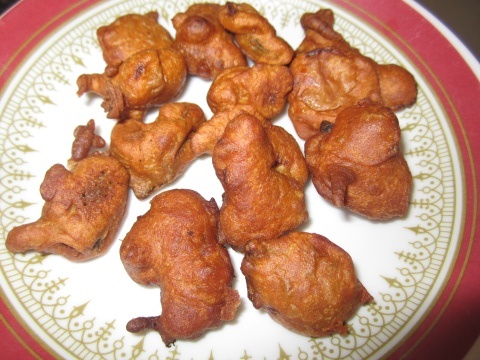 You can also add mushroom, onion and potato to this mixed pakoda.